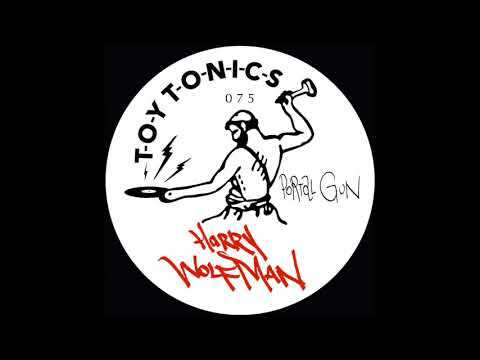 Berlin-based imprint Toy Tonics, known for their lush take on the darker side of disco, welcomes one of London’s finest, Harry Wolfman, to their esteemed catalogue of producers. With dozens of timeless releases by a consistent cast of tastemakers including Coeo, Black Loops, and Kapote, Harry Wolfman should find his latest Portal Gun EP in good company. With 9 releases under his belt already by way of Outplay, Dirt Crew Recordings, among others, Wolfman has some serious inertia behind his Toy Tonics debut. As long time fans and supporters of the label, we’re thrilled to premiere the forthcoming EP’s first cut, Stromboli, which is sure to grace dancefloors far and wide in the coming weeks. The track’s ambient opening hints at Wolfman’s production prowess. Rolling like waves and chirping like birds, Stromboli’s synthesis moves with a lifelike fluidity that’s almost human. The groove to follow is similarly organic in nature, with hi-hats bouncing and panning above a kick and clap backbeat like something out of Donna Summer’s session drummer. A break-down just past the minute and a half mark introduces the main melody, an uplifting three-chord progression peeking out beneath its low-pass filter with just a hint of attitude. The beat returns and we’re treated to several more bars before a similar reduction makes room for a round, arpeggiated synth to take us toward the song’s climax. The three minutes that follow bend and twist Wolfman’s fully developed groove alongside its final element, a soulful vocal solo that ebbs and flows with intensity. Altogether, the track’s understated confidence is perhaps its most transcendental quality. We wouldn’t find this tune out of place at an after hours lounge or nestled within the night’s peak-hour playlist. Cheers to Wolfman and Toy Tonics for their continued works! Pre-order the vinyl on bandcamp!